Just said “YES!” to the partner of your dreams? Now is the perfect time to start your planning, beginning with your dream wedding venue. Here’s a challenge though: you’re expecting a triple-digit guest count, all arriving from different areas of the city. They all need to arrive, eat, park, and sit comfortably in a spectacular setting that’s both worthy and reflective of you and your partner’s wedding. 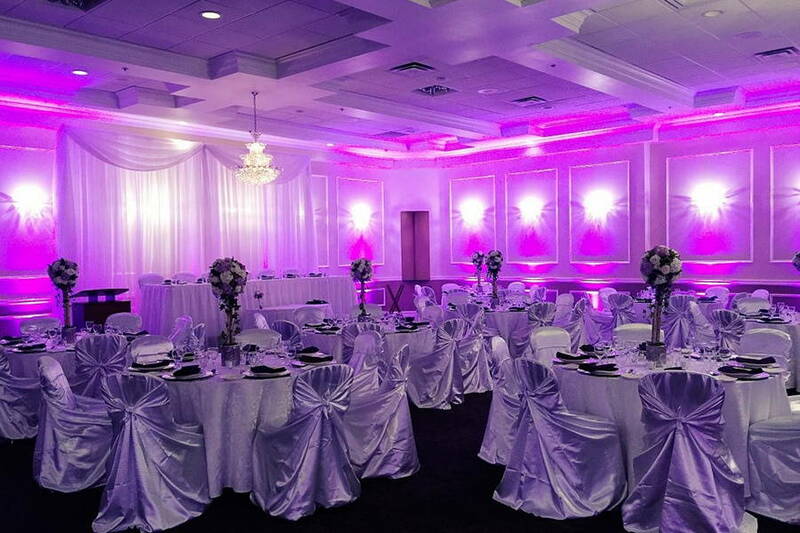 Enter the Vaughan banquet hall: perhaps one of the city’s most convenient locations for large, glamourous affairs, offering an array of options to suit your style, budget, and guest count. 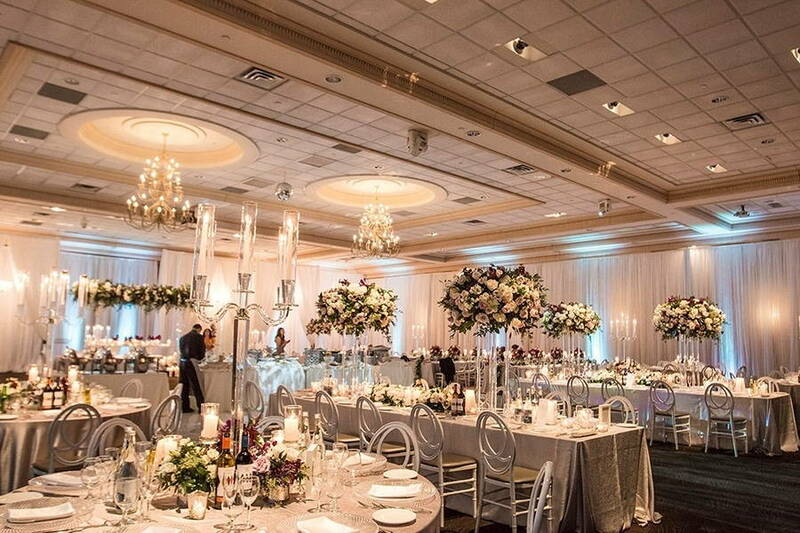 Check out this definitive guide on all things banquet hall in Vaughan. Did we miss anyone? Please let us know in the comments below. 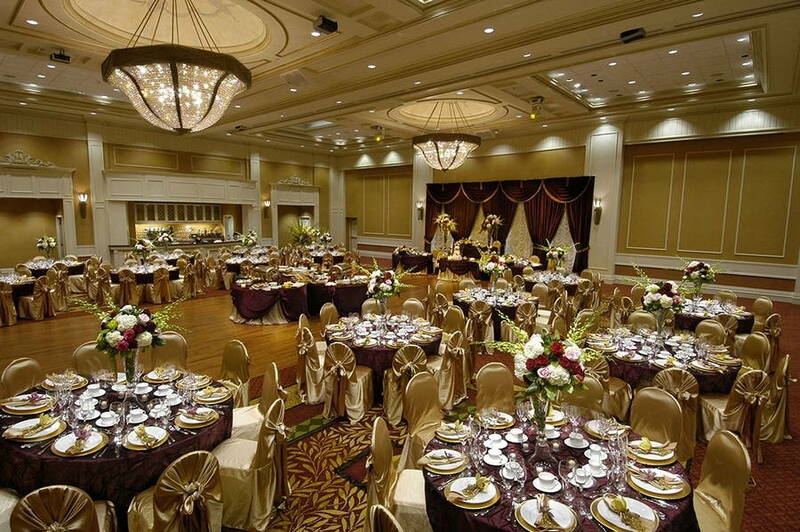 The Venetian is an enormous family owned banquet hall housing 11 different floor plans in its elegant 30,000 sq. ft. premise. 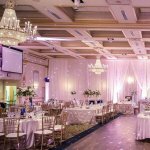 Located in the heart of Vaughan, the recently renovated banquet hall can adapt to corporate events, social events and weddings seamlessly. Whether it is a small gathering of 25 or a grandiose event for 900, the Venetian has the room and event packages for all! 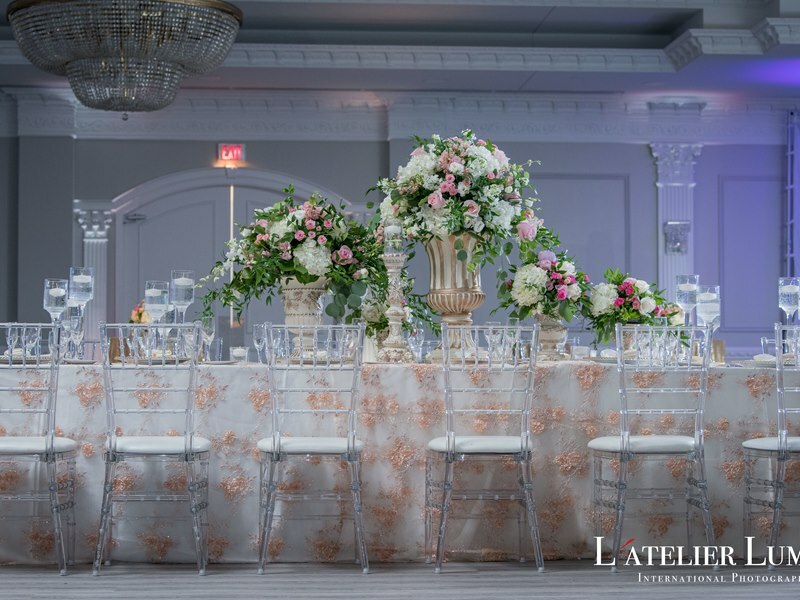 A veteran in the hospitality industry, Chateau Le Jardin Event Venue has over 30 years of excellence tucked under their belt catering to the Vaughan area. Boasting a 30, 000 sq. 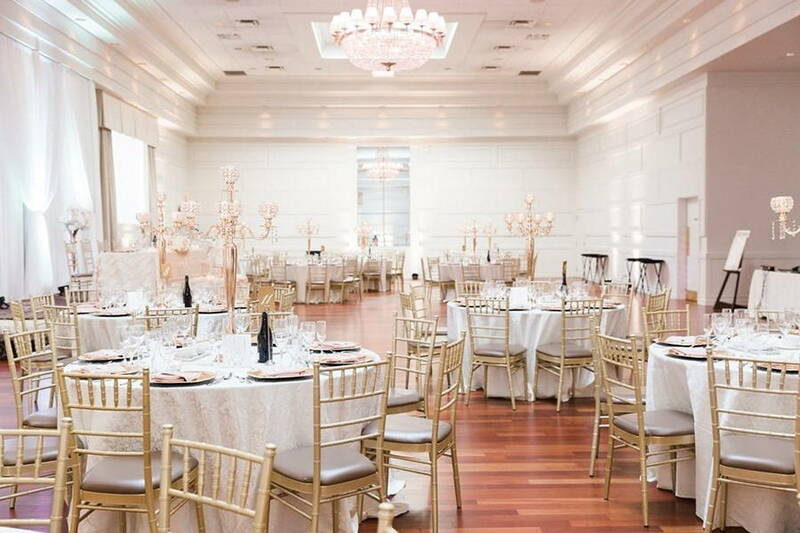 ft. perimeter, Chateau Le Jardin can easily accommodate up to 1,300 guests! From conventional seminars to outlandish weddings, their seasoned staff has seen it all and will leave nothing to chance. 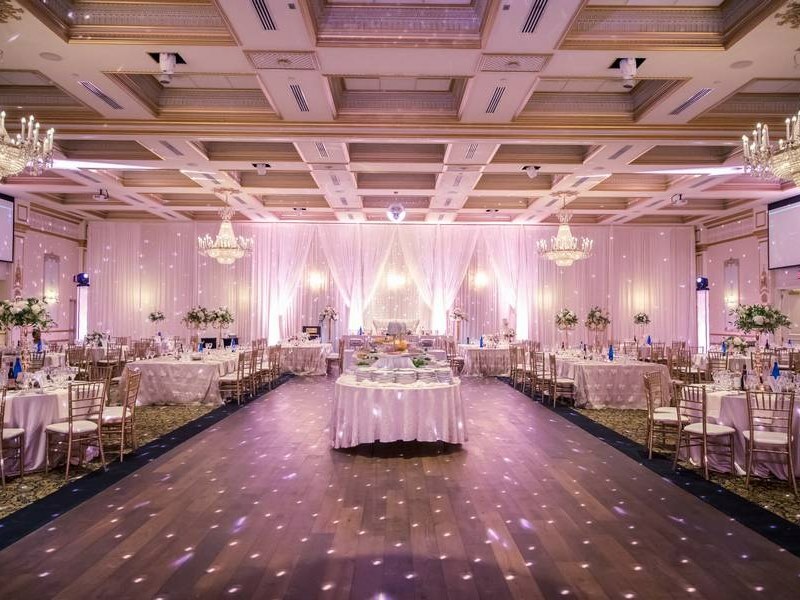 Recent renovations to their existing wedding banquet venue has added notable features like coffered ceilings, glass windows, and breathtaking wall patterns – perfect for those looking for a palatial, luxurious feel for their wedding. Featuring lavish 19th century style architecture sculpted by marble and limestone and beautiful lantern lit archways, the Bellvue Manor is the epitome of luxury. Whether its a wedding, a social celebration or a corporate gathering, rest assured that it will be Instagram worthy! 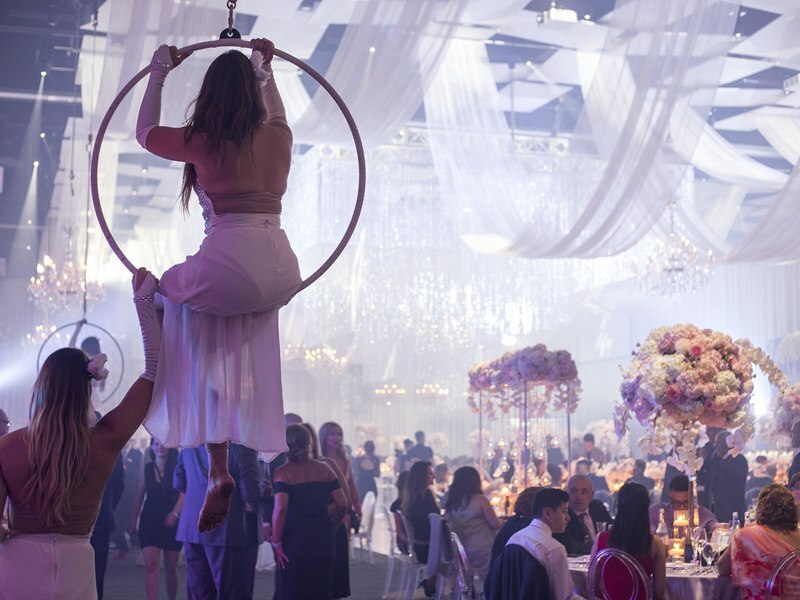 In addition, this grandiose venue has a veteran team to help you host the perfect party for up to 800 guests; you can either plan it with them or leave everything in their hands. From designing a menu to creating entirely new ideas, they’ve got you covered! 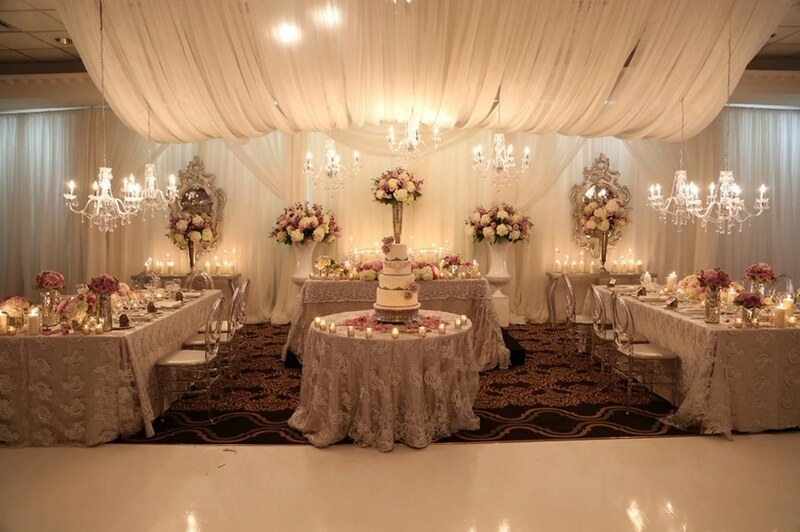 If elegance and sophistication are what you’re looking for, the Bellagio Boutique Event Venue is sure to fit the bill. 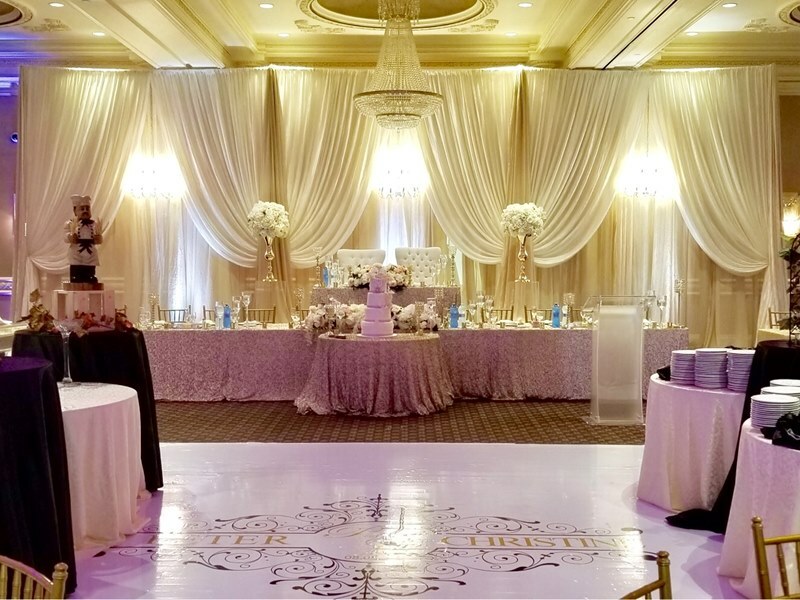 Offering 3 European influenced fully private rooms with seating for up to 800 guests PLUS a creative, experienced team of staff members who able to customize your big day down to the very last detail, this luxurious venue will not disappoint! 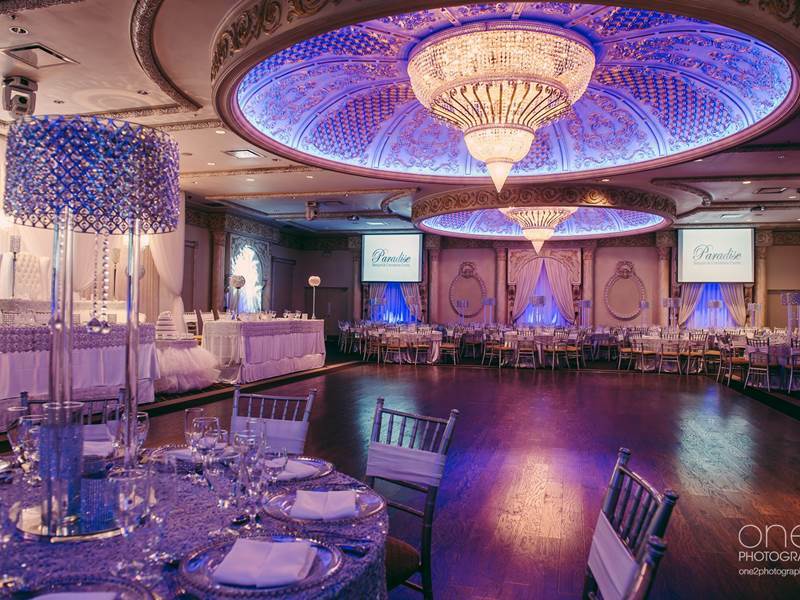 All 5 exquisite ballrooms at Paradise Banquet & Convention Centre boast grand lobbies, marble fountains and crystal chandeliers. 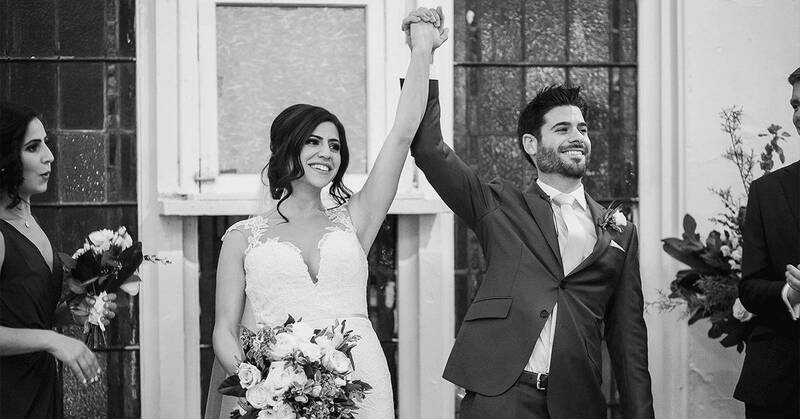 While the venue can play host to your corporate or social event, weddings are kind of their thing with over 40 years of experience making wedding dreams come true one couple at a time. Added bonus: if your event is in the summer, you’ll be able to take advantage of their lush manicured gardens for photo ops over the Venetian bridge or in the whimsical gazebo! 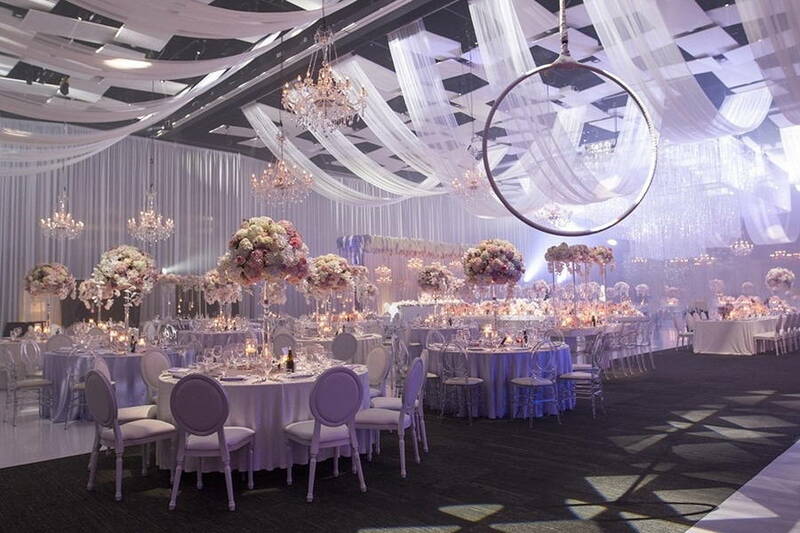 This gorgeous space can accommodate a max capacity of 1,500 guests with a full venue buyout. 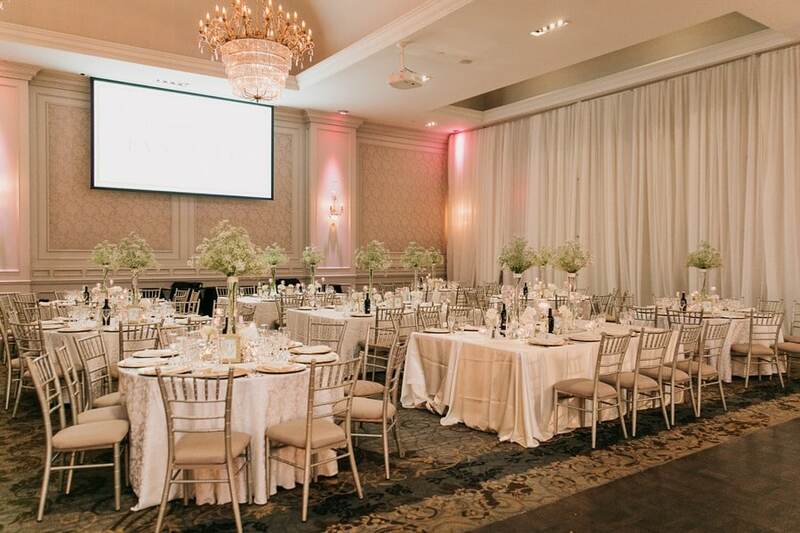 Located in the heart of Vaughan, the Hazelton Manor proudly boasts over 15,000 sq. ft. of beautifully appointed space with a fresh modern décor. Strategically designed to host a wide range of social and corporate events, the venue can comfortably accommodate groups of 50 up to 1200 people. 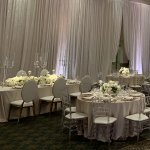 In addition, the Hazelton Manor promises that their customer service is unmatched in the industry, and they promise that their highly committed team of event specialists will consider every detail when it comes to making your vision come alive. After all, they’ve been doing it for over 25 years. 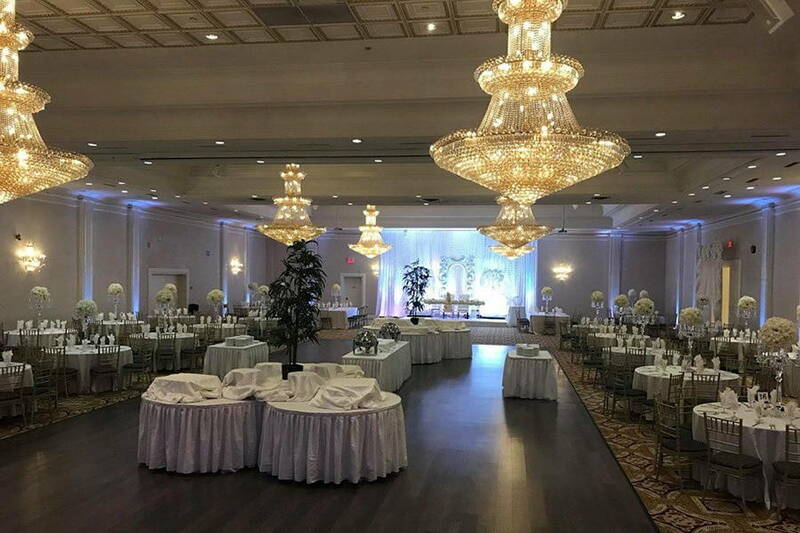 Attached to the Hilton Garden Inn Toronto/Vaughan, the Toscana Banquet & Conference Centre is one of Vaughan’s most sought after hosting venue! This spacious 10,000 sq. ft of banquet and meeting space is no stranger to large events within its elegant visage. They are happy to accommodate and delight up to 600 guests with their impressive hospitality and award winning cuisine team. With the capacity to accommodate over 2,000 guests in it’s gargantuan 85,000 sq. ft of event space (spread among 6 stunning, versatile rooms), Universal EventSpace just may be the largest space yet on the list for Vaughan! Although this venue is relatively new having opened in 2015, the hospitality group byPeterandPauls.com upholds the highest standard of service, so rest assured you are in good hands! Featuring outdoor terraces, state of the art technology, a contemporary design concept and impeccable cuisine, you’ll definitely want to have a look at this venue for your upcoming event! 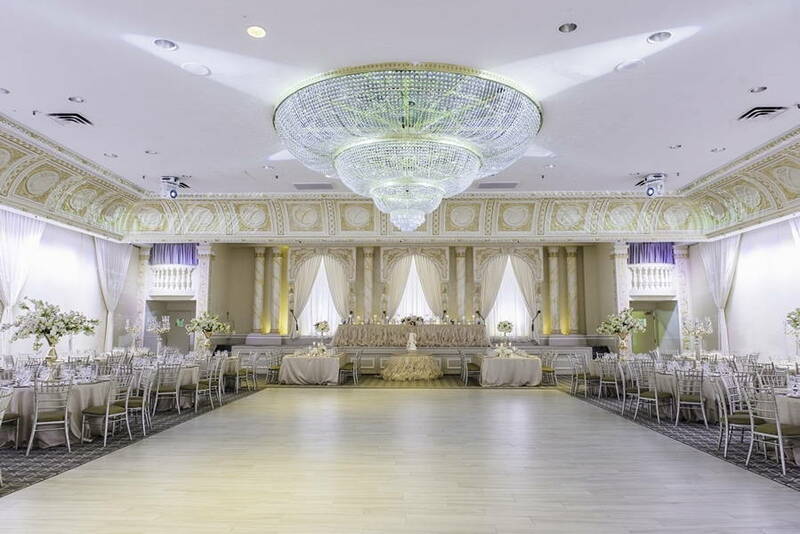 Known as one of Vaughan’s most luxurious wedding reception halls, Fontana Primavera has been serving the GTA for over 20 years! 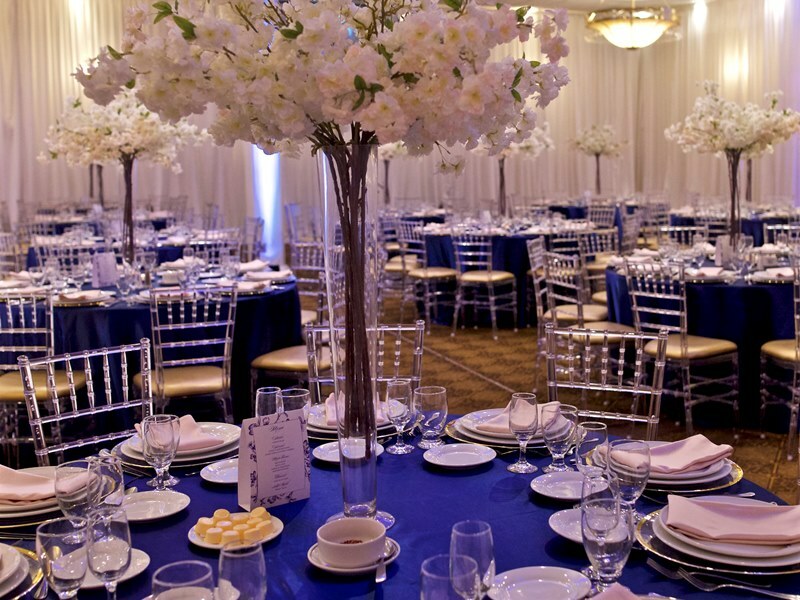 With experienced consultants on hand ready to assist you with all the details of your event, as well as a menu that can be customized to your liking, the venue is perfect for weddings, social events and corporate galas alike! 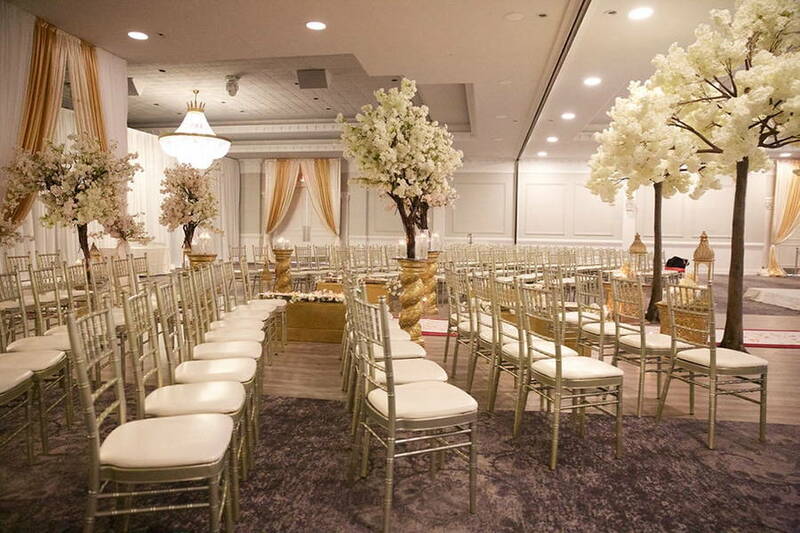 Boasting 4 luxurious banquet rooms, lush outdoor gardens and hotel-style bridal suites Fontana Primavera has it all, and can accommodate up to 1,200 guests! Featuring 61,000 sq. ft. of entertainment space with the ability to serve up to 1,200 guests, Paramount EventSpace offers 5 state-of-the-art, drop dead gorgeous, flexible function rooms. You’re sure to be dazzled as this venue is always dressed to impress with its distinctive design concept, cascading staircase and spacious lobbies! Did we mention that they have an old fashioned pizza oven and built in food stations? Fellow foodies, can we get an amen!? Terrace Banquet Centre is a lavishly elegant venue with the ability to accommodate up to 1,170 guests within its five event spaces. Promising state of the art A/V, an open concept and an artful display of hospitality, the venue is sure to sweep you off your feet on your wondrous night! Their events team is experienced in handling dinner galas, ceremonies and corporate events, PLUS they are masters at weddings. 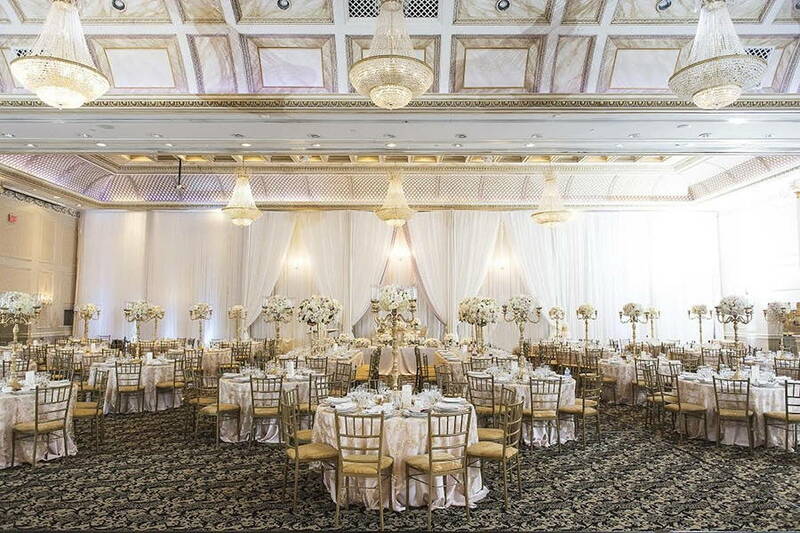 With its newly renovated event space, The Royalton is quite the transformative choice for weddings and corporate functions for up to 950 guests. The venue’s majestic vaulted arches, gilded crystal chandeliers & gleaming hardwood floors create a timeless, elegant vibe to any event! 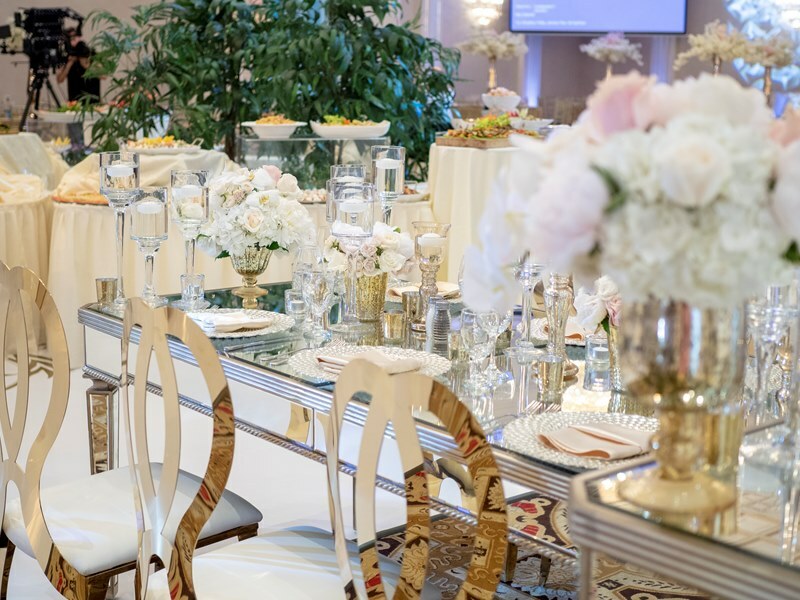 With the help of its talented team of event planners and an in-house culinary expert, your event will be crafted to perfection and delivered on a silver platter! 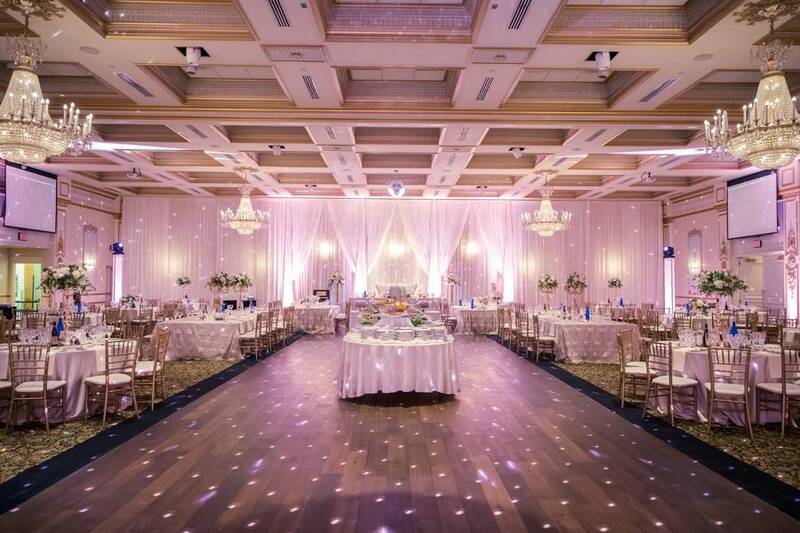 Sectioned off into four ballrooms that can be chosen according to the size of your gathering, the Westmount Event Centre is equipped to accommodate large events for up to 400 people and small events with a 50 person guest list! Elegant and intimate is their specialty. 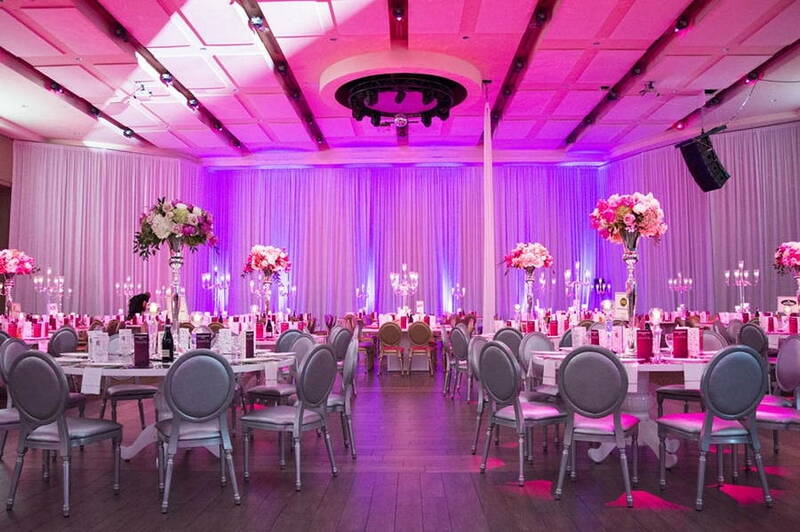 This venue also offers customizable menu options and a hardworking staff to ensure your event is flawlessly executed. If convenience is your game, then the Avani Event Centre should be the name! 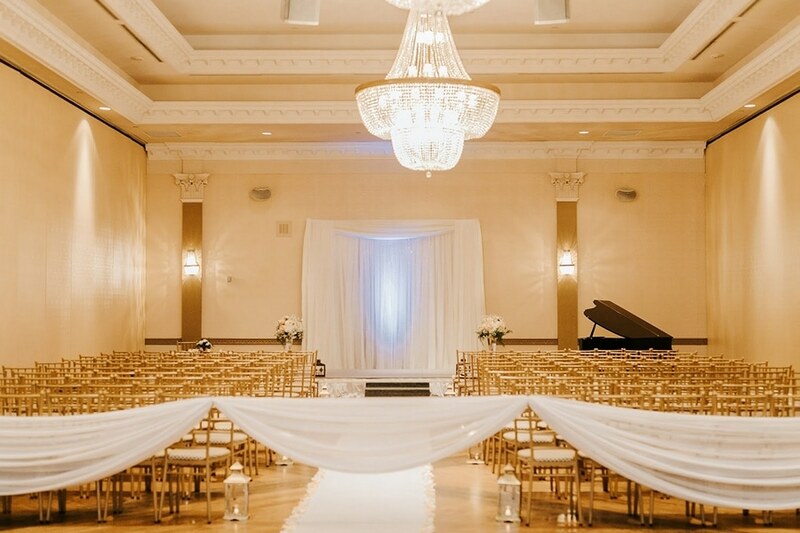 Located only minutes away from HWY 407/HWY 400 in Vaughan, this sparkling venue is ready to wow you with its white marble floors, pillared ballrooms, soaring ceilings and imported chandeliers. Did we mention there is also a baby grand piano, private entrances and complimentary parking for 400? 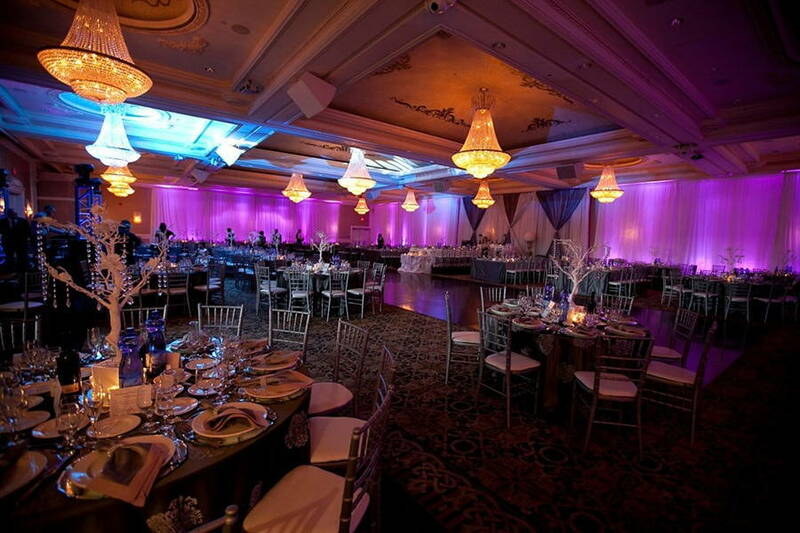 This elegant venue has enough room to host events accommodating up to 800 people within it’s 30,000 sq. ft confines. 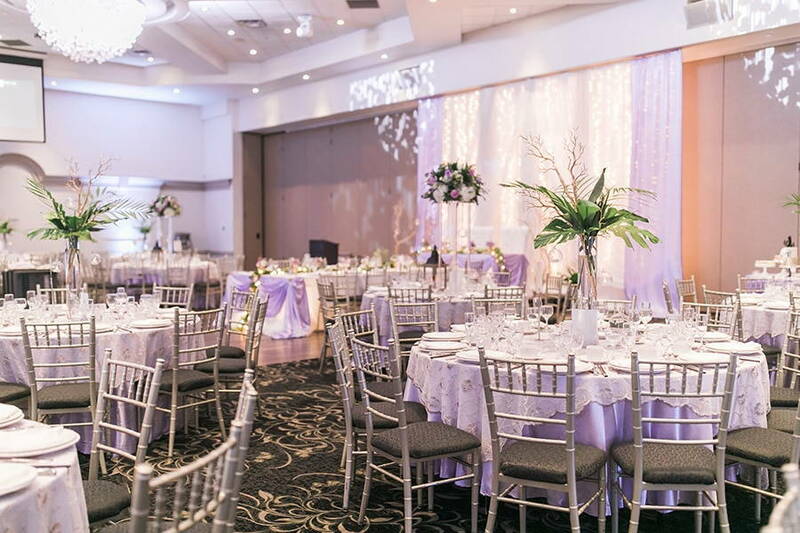 Located in the heart of Vaughan, with over 30 years of hospitable experience in the GTA, PineCrest Event Centre offers three elegant banquet halls with their own separate entrances and lobbies. 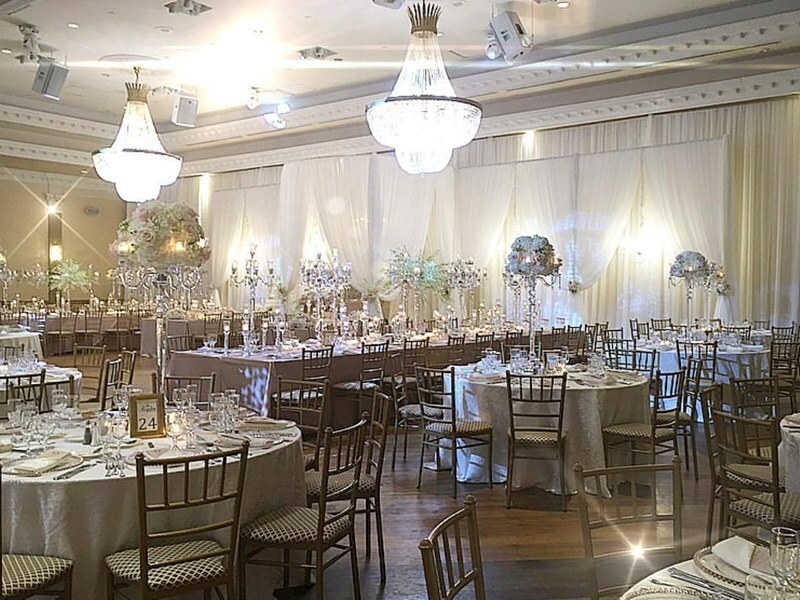 Decorated in neutral colors, this adaptable banquet venue is completely customize-able with it’s use of lighting multi-media, fabrics and an adjustable dance floor. Of course, we’d be remiss not to mention that their catering menu is also completely customizable! Plus, this venue guarantees first class facilities and can accommodate a total of 1,000 guests, with their largest hall holding 600 guests. 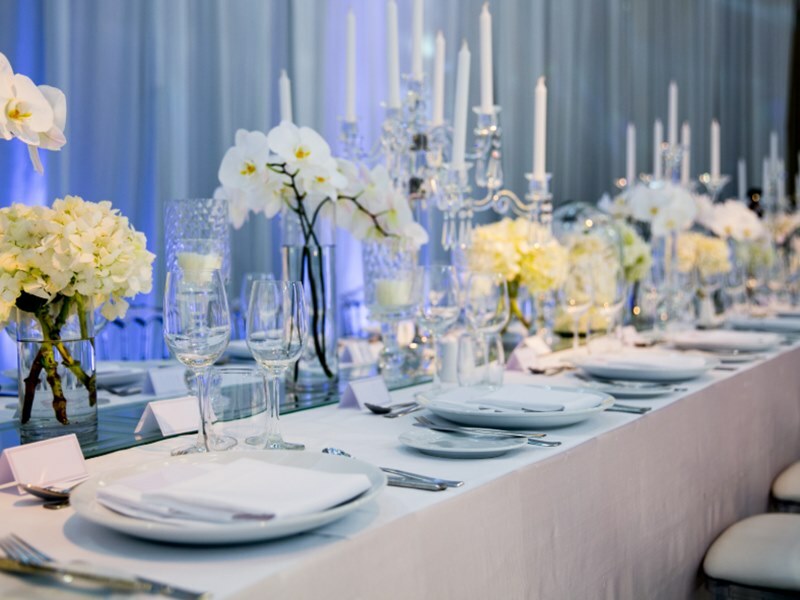 At The Jewel Event Centre, classic elegance is the name of the game. Confident in their exceptional cuisine and unparalleled service, this venue’s quest for perfection is reflected in every event! 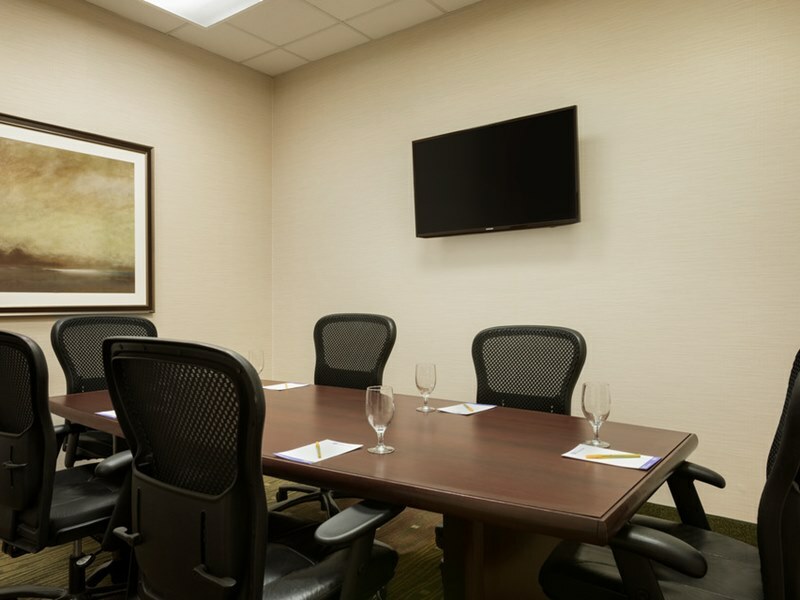 Their experienced executive management team will ensure that every detail is up to par in any of their four banquet rooms. Capable of accommodating up to 500 guests in each room, the Jewel Event Centre is a great option for your event. Successfully operated since 1975, the Montecassino Woodbridge has not only stood the test of time, but has built quite a reputation for themselves in the hospitality industry. 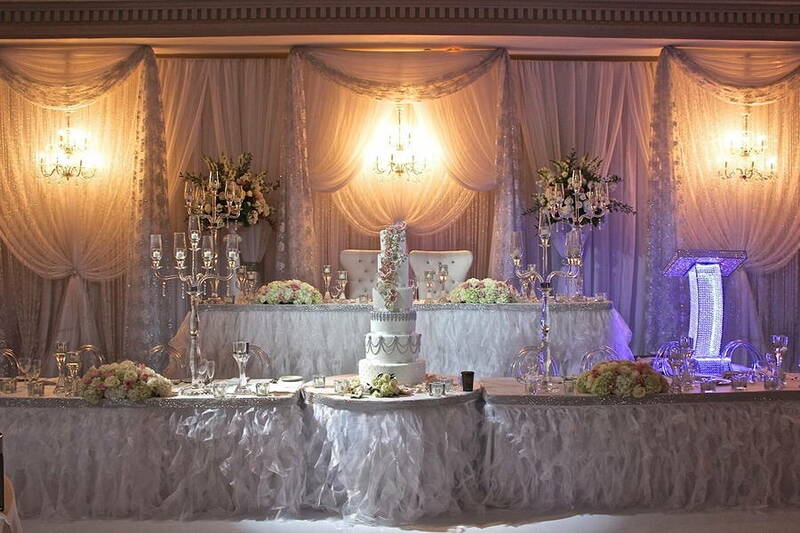 Blending classic and contemporary design, this banquet venue is well appointed in timeless elegance for any occasion. 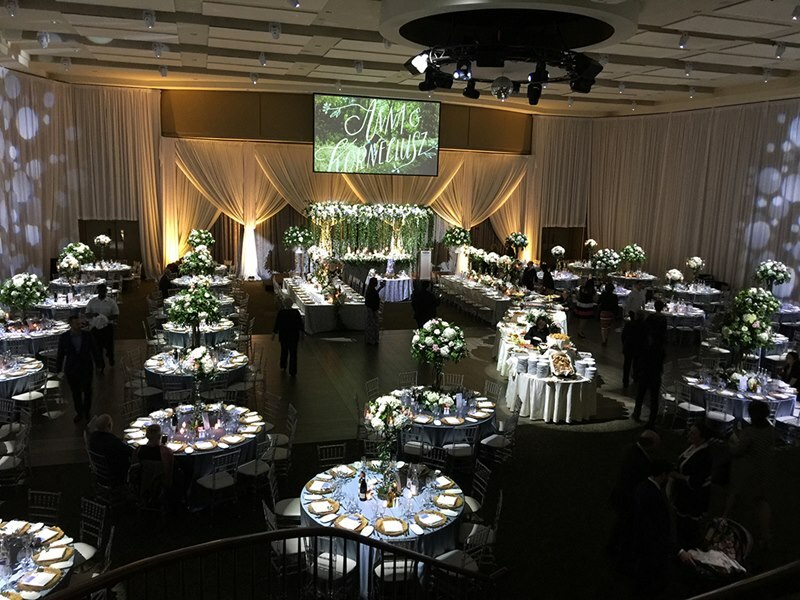 Comfortably accommodating events from multi-cultural to traditional selections (and up to 600 guests in their largest room), their culinary team and seasoned staff will ensure a joyous occasion! If you wish for all the attention to be on you while being environmentally conscious, then you need to take a look at the Avenue Banquets. 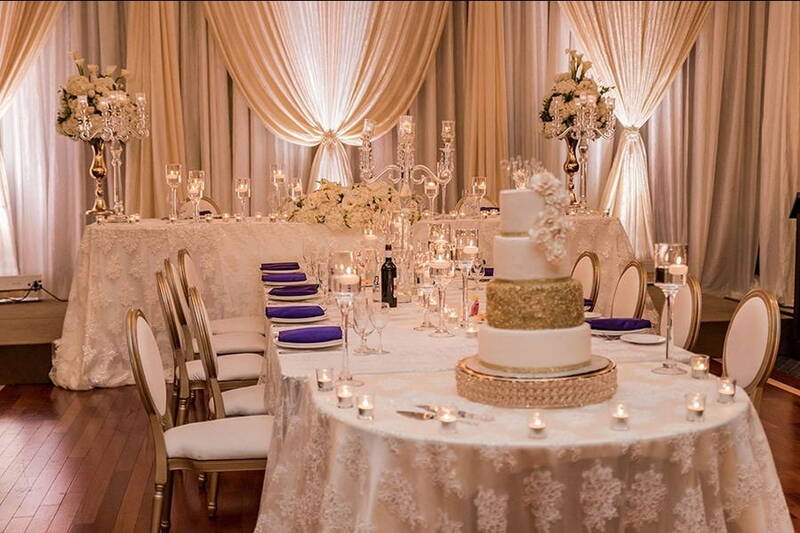 With only a single event venue space, Avenue Banquets offers exclusivity and privacy only catering to one function per day or night for you and up to 400 guests. In addition, this beautiful little venue takes immense pride in their catering staff because they only use the freshest locally sourced ingredients. Talk about leaving a small carbon footprint! 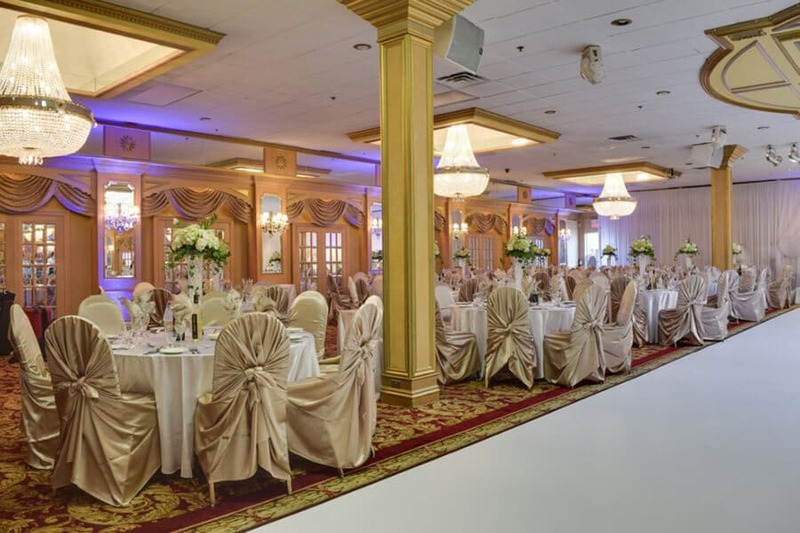 Located in the heart of Vaughan, the Presidente Banquet Hall is a versatile event space that has hosted many types of events – from corporate to social, they’ve done it all. With experience comes along great affiliations so you can have peace of mind with their selection of preferred vendors. This venue also provides full-service catering that is ready to feed up to 500 hungry mouths – with completely customizable menus! 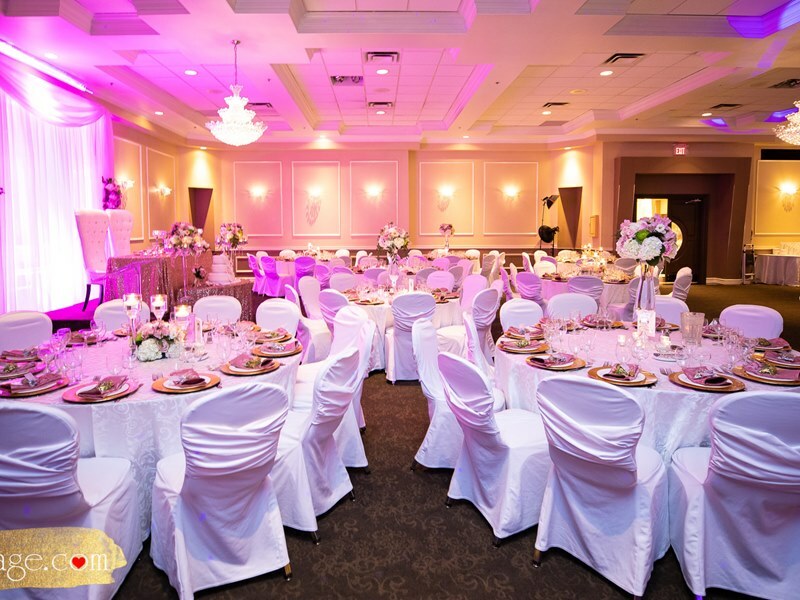 A true state-of-the-art facility, the Riviera Event Centre is one of the largest venues in Ontario! Just steps from the Vaughan Metropolitan Subway Station, this gargantuan event space can accommodate up to 2,000 guests in its entirety. 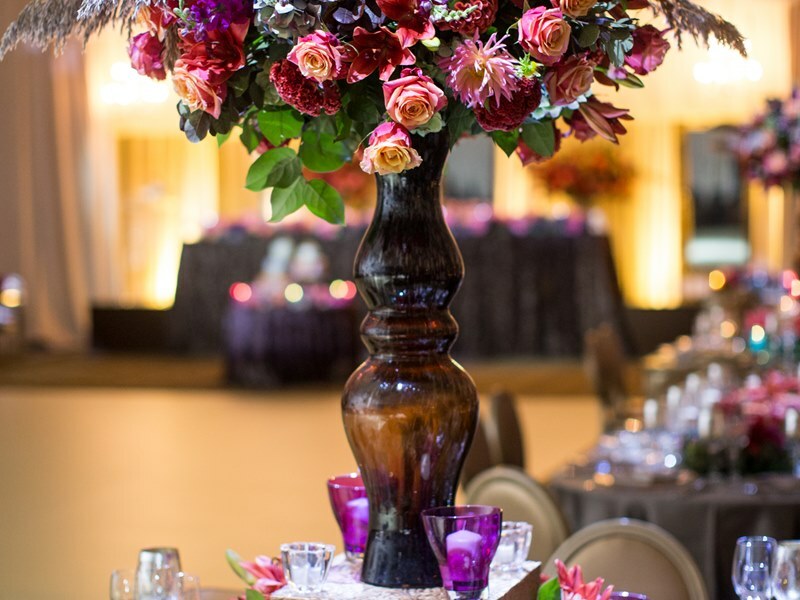 From it’s highly customizable catering menu and stunning decor, the Riviera Event Centre wants you to know that each occasion will be executed with flawless 21st century perfection. 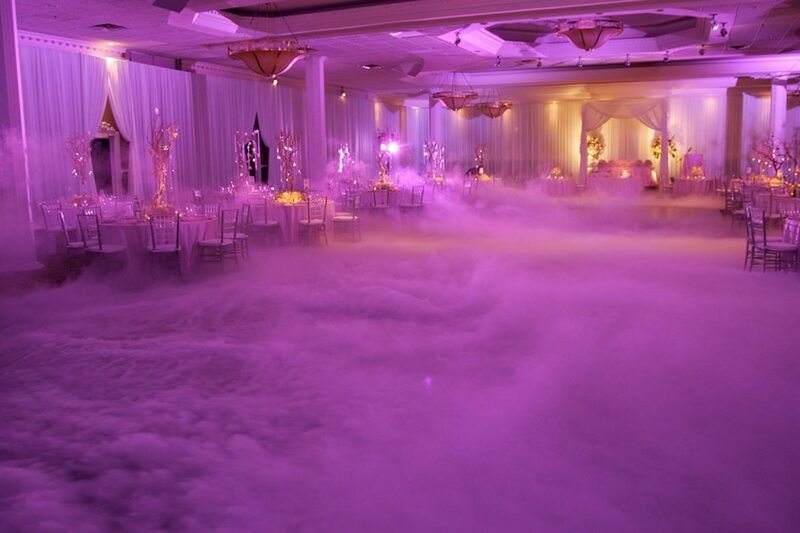 Destiny Banquet Hall promises an affair to remember! Whether you are seeking a traditional ambiance or something completely personal, the team at Destiny is there to help every step of the way. This also includes finding you the perfect florist and photographer! With their three beautifully decorated interiors, each room offers a unique layout accommodating 50 to 450 guests!